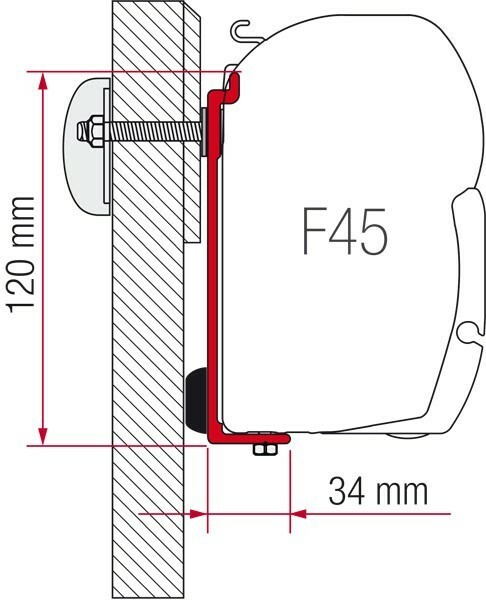 Fiamma Kit Challenger - Chausson designed specifically for installation of Fiamma F45 S and Fiamma Zip awnings to Challenger - Chausson Eden Allegro motorhomes. Fiamma Kit Challenger - Chausson consists of 3 parts. Bracket length: 2x 8cm, 1x 40cm.